Thirsting for something to do? Host an event! 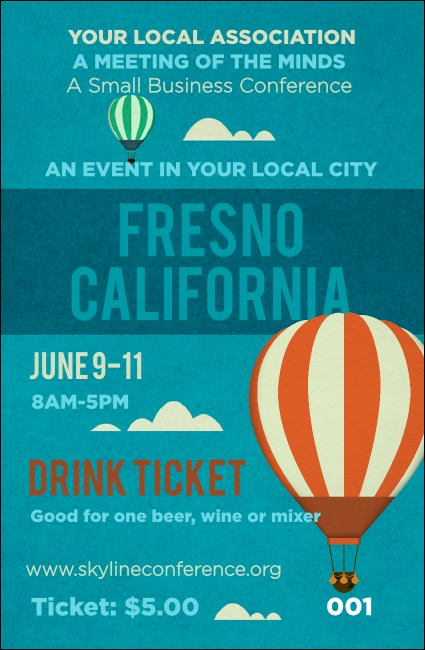 Bring a little excitement to town with the Fresno Drink Ticket. Printed on high quality card stock, the ticket features images of hot air balloons against a beautiful blue sky. Tickets are individually numbered for security. TicketPrinting.com can help you achieve the loftiest goal.